Football season is in full swing and no matter who you offer allegiance to, we recognize food, atmosphere and choice of beverage are as important as the team you cheer for. 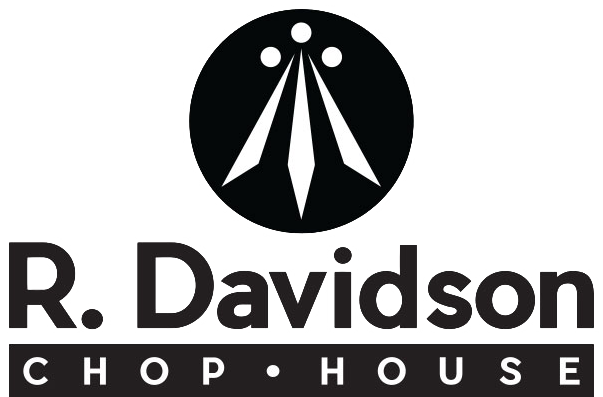 R. Davidson Chophouse has you covered with eats, drinks and fun (a perfectly executed three-point conversion) to help create the best GameDay experience for every fan! Join us and indulge in our selection of domestic, imported and local craft beers. Sip on one of our Fall Signature Cocktails, each 100% handcrafted in-house using locally sourced produced or select from our extensive list of house and premium liquors or reserve wines. If it’s food you’re looking for, you’ll love the variety of our menu. Kickoff with one or more of our starters; New Orleans BBQ Shrimp, Fried Green Tomatoes or Portobello Fries to name a few. For the main event, try one of our specialty burgers, sandwiches, small plates or entrees. No matter the size of your appetite, there’s something for everyone. Located on the corner of Temerson and Greensboro, R Davidson Chophouse features seven TV’s, five on the mezzanine and three on the main level plus two projection screens. For more information on GameDay highlights, R. Davidson’s Chophouse or to reserve your table call 205-614-8782 or reserve online by clicking here. By joining our mailing list, you will receive emails from us that will contain special promotions and important information about R Davidson Chop House.